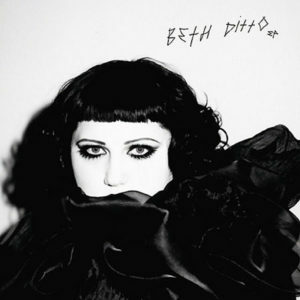 Not an album at all of course, but BETH DITTO’s self-titled four track EP from early 2011 showed what she was capable of when presented with a juicy electronic soundtrack away from the funk laden punk of GOSSIP. Following their first collaboration ‘Cruel Intentions’ on SIMAN MOBILE DISCO’s album ‘Temporary Pleasure’ in 2010, the dance duo of James Ford and Jas Shaw acted as producers on this brilliant solo EP. Their ethos allowed Ms Ditto’s very present personality to shape the character of the tracks without detracting from the inherent dancefloor mood. 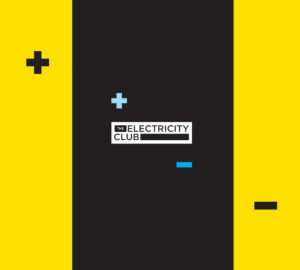 The result was four tracks that successfully crossed over into both GOSSIP’s indie punk audience and SIMIAN MOBILE DISCO’s more club inclined crowd. Opening track ‘I Wrote The Book’ was a close cousin of ‘Cruel Intentions’ and pulsed in a marvellous Detroit techno fashion that was immediate. ‘Goodnight Good Morning’ was driven by a solid groove and that would be the word that would ably describe this EP. Despite all the technology used to craft these four numbers, they possessed a warm humanity while the music itself retained a sparkling New York vibe. ‘Open Heart Surgery’ was driven by white noise percussion and a bassline reminiscent of THE HUMAN LEAGUE’s early work and while not frantic in tempo, it did begin like a dreamboat collaboration between Da League and DONNA SUMMER. The EP ended with ‘Do You Need Someone?’; digital claps took the lead while Ms Ditto’s passionate yearning added soul to the sparkling electronic groove. The melodic Polymoog-like tones of KRAFTWERK towards the song’s close were a marvellous aesthetic touch. Throughout the four songs, Ditto’s voice was rich, emotive and powerful. On the evidence of this EP, a solo career in electronic dance music could have beckoned post-GOSSIP. She would have made a most perfect disco diva and certainly later offerings by GOSSIP like the suitably titled ‘Move In My Direction’ indicated that could be the case.